Persechino Financial • Voya Financial Advisors, Inc.
Linda, after three decades and a variety of experiences in financial services, what is your perspective on how the industry has changed? That is a challenging question. There have been so many changes in the financial-services business and environment over the past 30 years. Let me talk about three things that have had a major impact on the way I conduct my practice. First, the industry has evolved for independent financial advisors such as myself far beyond the transaction orientation that was common in my first years in the business. This used to be an industry that was all about selling products and services. I have always believed that clients’ specific needs must be placed at the forefront and that their best interests take precedence over everything else. The financial advisor’s role is to provide independent and unbiased guidance in helping clients address numerous financial issues in a holistic fashion. The recent work by the Department of Labor in redefining fiduciary guidelines is, I think, a net positive for our industry. Second, the financial world has become far more global and complex, but that has both pros and cons for advisors and their clients. To address this complexity, we now have state-of-the-art financial-planning software and instant access to data, can employ investment strategies that use a wide range of global asset classes, and can build sophisticated portfolio solutions—through third-party investment managers—that used to be reserved only for high-net-worth clients. The latter point has changed the way I approach portfolio management for clients, though it requires rigorous due diligence in the consideration and evaluation of money managers. Related to the complexity idea, we have also seen the nature of the markets evolve over the last two decades, going from the relative calm of the great bull market of the 1990s to a highly volatile environment for large parts of this century. When you combine that with unusually low interest rates since the credit crisis, many of the old concepts of traditional portfolio management and approaches to investment allocations have needed to be revisited. Risk management, in my opinion, has taken on a new prominence in helping to build a client’s retirement and investment plan. Lastly, there are the obvious trends in demographics that are shaping the industry today and will continue to do for the foreseeable future. Several of my clients and their families have worked with me for many years. We have watched their children go through the school system, go off to college, and some start families of their own. Many of my clients are close to retirement or already retired. They have had concerns over the years about college planning, funding their retirement, and considering their legacy planning. They, hopefully, will be with me for many more years to come, during which I will work with them to continually reassess their financial situation and help address changes in their lifestyle and financial picture. But I am also finding ways to work with the next generation of clients as they start to enter their peak earning years. So, it will be an interesting, challenging, and exciting period of generational change that I think many experienced advisors are facing. Describe your current practice and client-service philosophy. I spent the early part of my career working in the bank channel—with literally hundreds of new clients each year. When I started my advisory firm, one of the goals was to keep it manageable in terms of number of clients. My approach is to work with a more limited client base that I can really get to know. I want to understand what is driving their financial objectives and continue the relationship for years with their family. Our firm offers a wide range of financial planning, retirement planning, investment management, and related services. I strongly recommend to all of my clients that they work with us to first develop a financial plan, as that will drive everything else they do in terms of implementing an investment plan, determining risk-management strategies, and the selection of other financial products and services. We work closely with our clients’ other trusted advisors in many cases, usually their attorney and tax advisor. Our broker-dealer has an extensive array of financial services available for their advisors, so I believe we can address our clients’ needs in a very holistic fashion. One of the most important things that drives my client-service philosophy is making sure there is a good relationship fit from the outset. I want to work with clients who are looking for a trusted financial advisor, who are open to education on financial topics, and who want to work together as a team to address their financial objectives. It is important that the client is comfortable with me, and equally important that I am comfortable with the client. I believe that the most successful relationships in our business are when an advisor and their clients have good chemistry and some shared values. As we develop a long-term relationship, we will both see each other have successes and setbacks in our lives, and that is where mutual trust, respect, and having a personal connection become so important. See Related Article: What is risk really all about? A new client or client couple and I will meet for a few unstructured sessions before we get into the formalized financial-planning process. I find that attitudes around money are very different for everyone, even if they have similar incomes and assets. I tell clients that what you and your spouse want from your money is probably not the same as what your next-door neighbors might want for their money. We spend a lot of time exploring the more qualitative side of their attitudes, how they perceive their wants and needs, and what is important in their lives and finances now and going forward. From there we will move into the formal planning process itself, which starts with gathering extensive data. As we begin shaping preliminary planning goals and objectives, we can test various assumptions or scenarios using our planning software. If I am working on a particularly complex plan, I also have the ability to consult with a planning resource at our broker-dealer. We develop a holistic financial plan, working together in an interactive fashion to make sure that various alternatives are examined and that the client can take ownership of the planning decisions. For example, we might look at the differences in retiring at age 62 versus age 66 and how that might affect Social Security claiming strategies and their overall retirement-income plan. That way the client can come to an informed decision and understand the trade-offs involved. In the final analysis, I take the financial-planning process very seriously and consider it to be the road map to a client’s financial future. It is also an interactive process in the sense that as a client’s life circumstances change, we can re-examine and adjust their plan as part of our ongoing review sessions. What is the role you see for third-party investment managers? Over the past several years, I have moved a higher percentage of clients’ portfolios to managed accounts. The third-party investment manager I primarily use provides strong consultative services, client educational materials, a user-friendly client-reporting system, and has over 100 actively managed strategies available for my clients. Their investment philosophy—and commitment to risk management—aligns well with my philosophy, especially for clients who are approaching or in retirement. I use the bucket approach to retirement-income planning. In this planning methodology, we look at five-year time increments throughout a client or couple’s retirement planning time frame. For the first five years, we would tend toward more conservative investments, which might include guaranteed-income strategies through some form of annuity. For the next five-year bucket, and perhaps the one after that, clients can generally assume a little more risk, in line with their specific risk profile. For this five- or 10-year period, I am interested in recommending portfolio solutions that have a strong risk-management component. These could include tactical, active strategies from a third-party manager. For later five-year periods, with time working in the favor of the client in terms of being able to recover from drawdowns, we have more freedom to consider a wider range of strategies. For these longer time frames, we might look at more passive index funds, which could also be accompanied by strategic or tactical actively managed portfolio solutions. There is no hard and fast portfolio construction that I follow aside from the principles of the bucket methodology and overall risk management in line with a client’s risk profile, time horizon, and financial objectives. Portfolios are customized for each client and are goals-based in nature. I believe my role as a financial advisor includes having a deep understanding of the sophisticated financial products, services, and strategies available today. I can add value for clients by matching up the appropriate strategies with their specific financial plan goals, giving them, in my judgment, a higher probability of achieving financial success over the long run. Customized wealth-management solutions and reporting. Tools to seamlessly run a practice from the office or on the road. Compliant and customizable newsletters, financial commentary, and marketing materials. Tools for managing ongoing client communications and tracking client key dates. Website, seminar, social media, and public relations support. 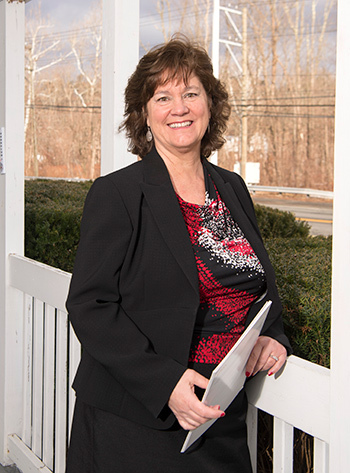 Linda Persechino is the founder of Persechino Financial, based in New Hartford, Connecticut. Her firm provides a variety of financial services to individuals and families, including financial planning, investment management, and retirement planning. 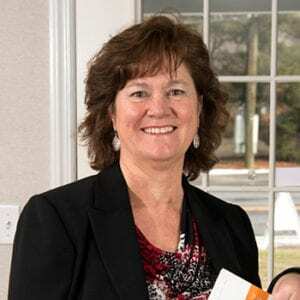 Ms. Persechino has over 30 years of experience in the financial industry. 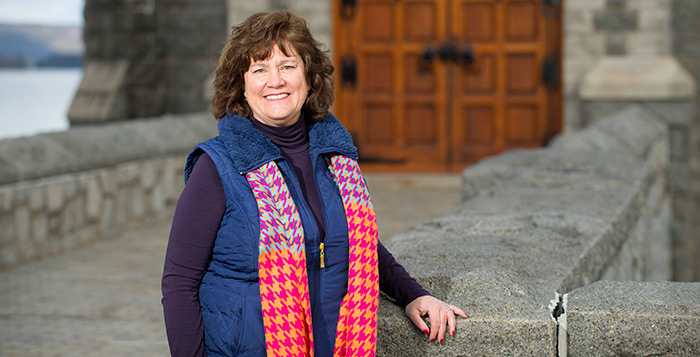 Ms. Persechino has close ties to her community, where she has been a member of the board of finance, president of the parent-teacher association, and involved with many school activities and fundraising efforts. She and her husband have three children and love to spend time together at their vacation home in Maine. She is an avid reader and enjoys cooking. Disclosure: Investment advisor representative and registered representative of, and securities and investment advisory services offered through, Voya Financial Advisors, Inc. (member SIPC). Persechino Financial is not a subsidiary of nor controlled by Voya Financial Advisors.